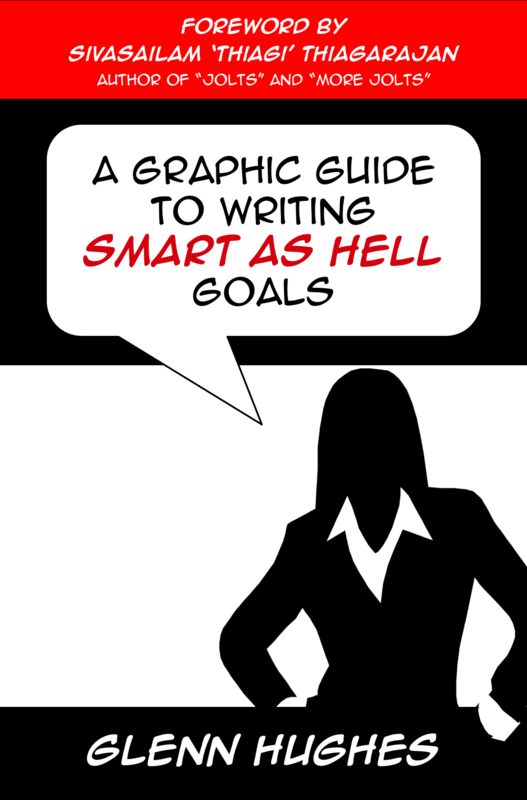 SMART as Hell » Photo Jolts! You are here: Home - Photo Jolts! Are you looking to increase clarity, creativity, and conversation? 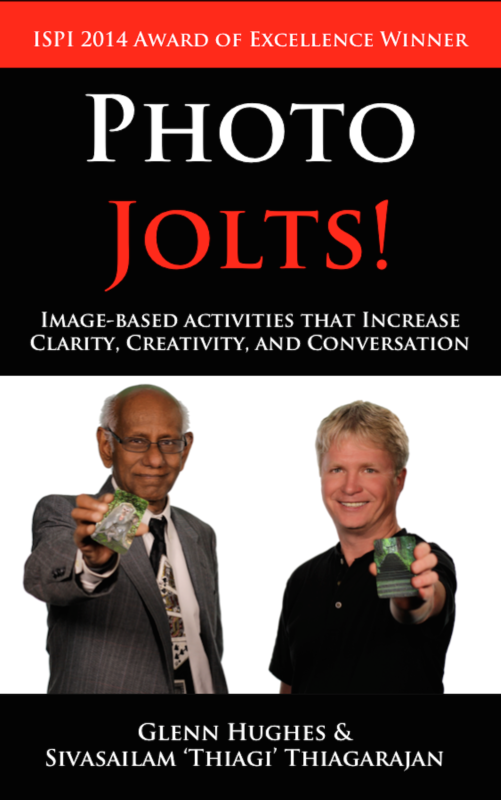 Photo Jolts! shows you how to leverage the power of photographs to improve yourself, your team, or your organization. 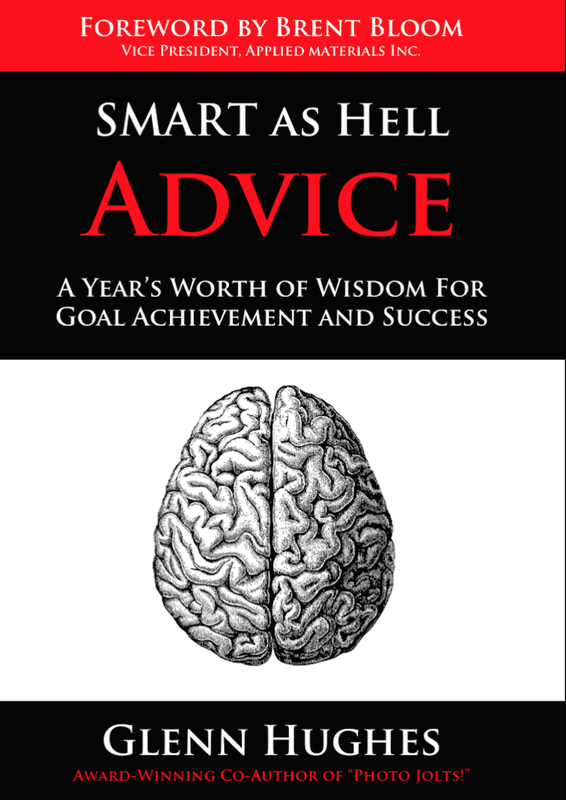 Master trainer Thiagi and SMART as Hell.com founder Glenn Hughes share 51 activities (with over 300 variations) that are tested and proven to help participants think, talk, and take action. Written for trainers, teachers, coaches, managers, HR professionals designers and artists, Photo Jolts! provides step-by-step recipes for effective activities in the areas of problem-solving, team building, communication, emotional intelligence, design, creativity, sales/marketing, and global culture. Recommended number of participants and timing. Advice for running each activity in a virtual setting. A step-by-step script and sample of the activity. Templates, video links, and a resource guide for buying or choosing your photographs. 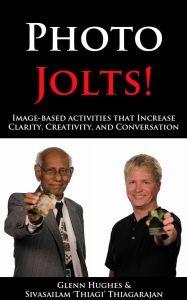 Photo Jolts!™ card decks move learning from your head to your hands. These card sets create energy while encouraging deep thinking and discussion around any topic you choose.